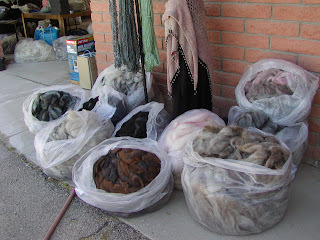 This is about half of the shipment of roving that I received from Wooly Knobs Mill on Monday. It is lovely blends of kid/yearling mohair, llama, and wool. Through the end of this month, I am selling it, well below my normal price, for $36 a pound. Come check it out!